Room 9 Super Stars! 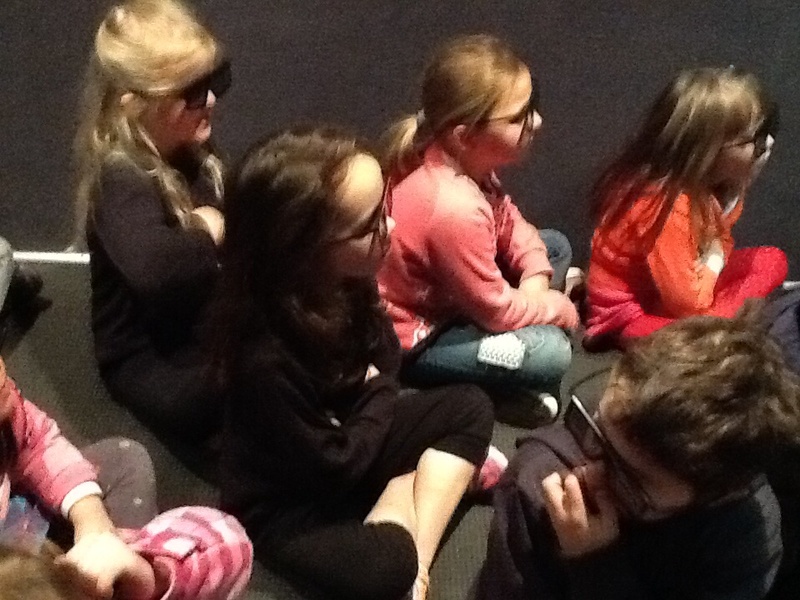 : Room 9 visits Harold again! Room 9 visits Harold again! 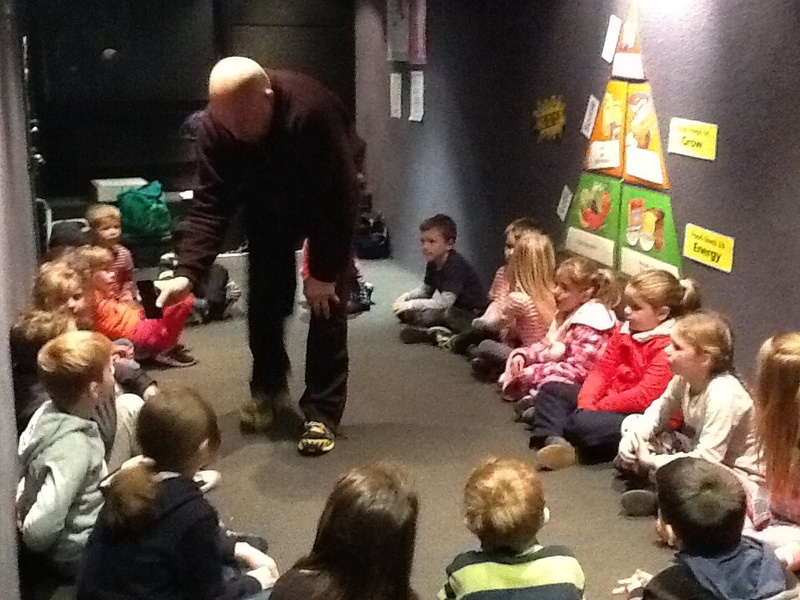 Today we got to go back into the mobile classroom and catch up with Harold again! Harold had been busy eating bananas, bananas and more bananas! We decided that there was NO variety in what Harold was eating! 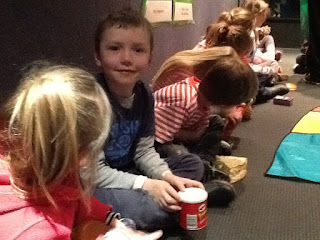 We talked to Harold by phone and told him of lots of other foods he could be eating to give him more variety. We had LOTS of great ideas!! After talking to Harold on the phone we looked at our food pyramid again. 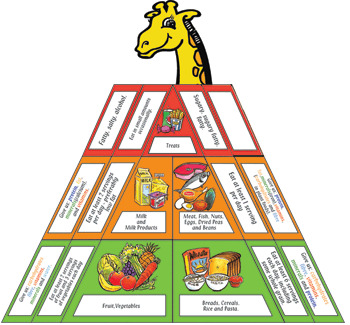 We choose different food types and thought about where they would go on the food pyramid. We were great at this activity! 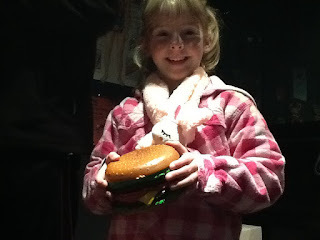 Hamburgers were pretty interesting. We discussed how if you make a hamburger at home with fresh vegetables, meat and bread then it falls in the green/yellow areas. However, if you bought the burgers from a fast food place then it would be in the red zone - eat only sometimes. That was interesting! Then - guess what?! Harold went to outer space!!! 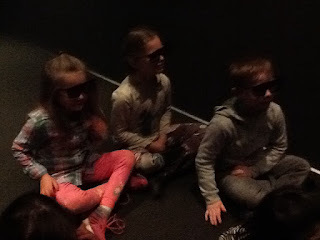 We were very interested in what he would do in outer space, so we put on 3D glasses and watched him. 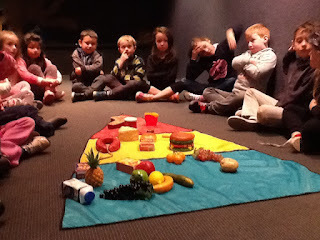 We had a great time learning about the food pyramid with Harold!! Now we know how important it is to have a balanced diet with lots of variety! Great Blog Room 9 - good to see you learning about healthy eating and meeting the awesome Highlanders !